After the re-opening of Ghim Moh Food Centre in March 2016, a couple of new stalls sprang up at the newly renovated food centre. 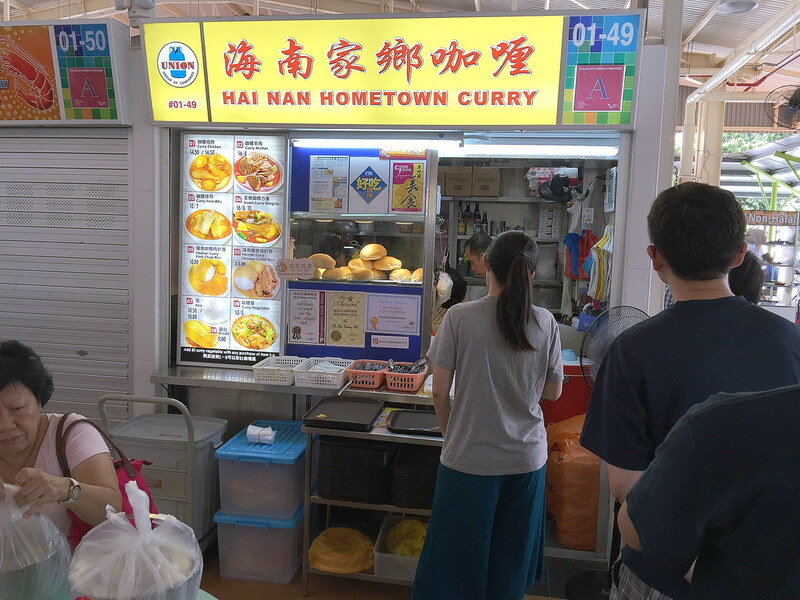 One fo these stalls is Hai Nan Hometown Curry. The stall is run by husband and wife team who has been selling curry for the past 30 years, moving from Woodland to Jurong West before settling at their new place. The stall is like a curry speciality stall selling a variety of curry dishes. 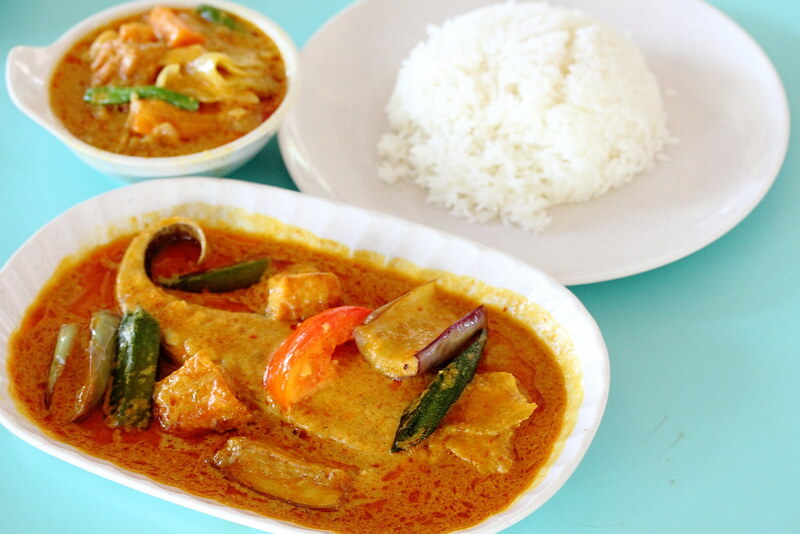 What caught my attention is the Assam Curry Stingray ($6/$8/$10). A dish that is not commonly served in hawker centre. 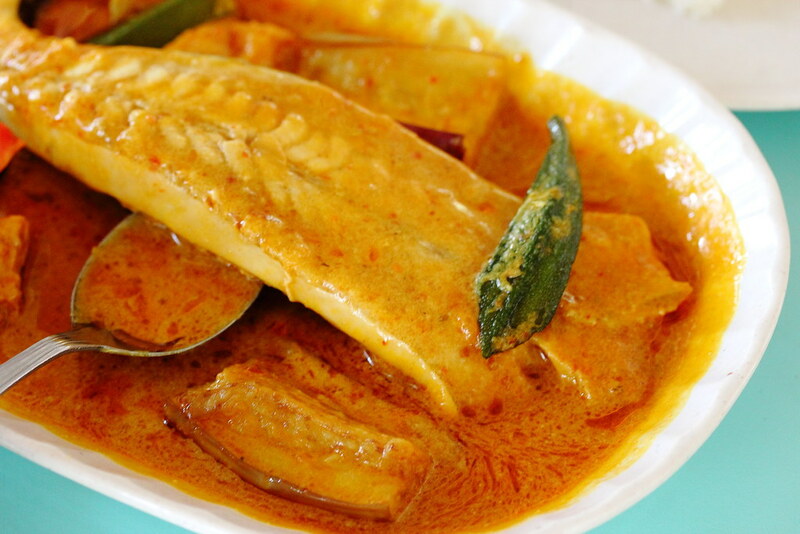 The assam curry has a subtle balanced of spiceiness and sourish, making it very appetising. It also comes with brinjal and ladyfinger. 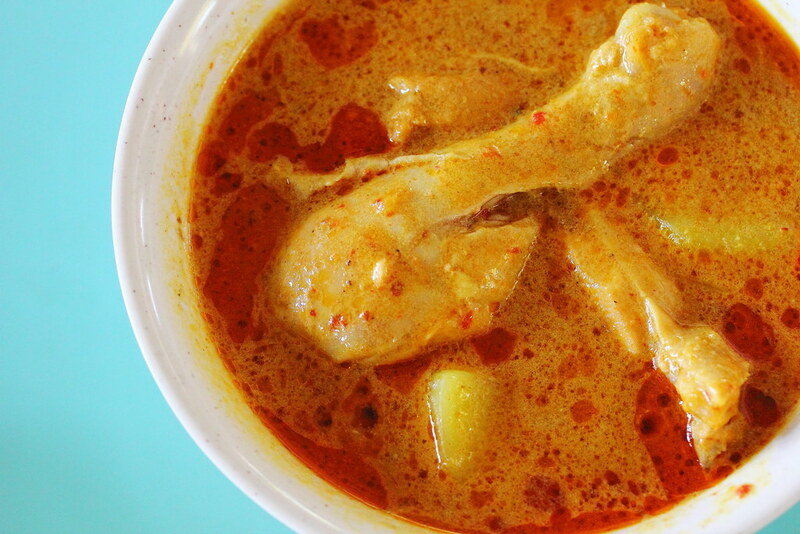 A favourite among the crowd is the Curry Chicken ($4.50/$6.50). I like the fact that the chicken is served in huge chunky pieces. The curry is not overly spicy, actually quite mild. If you like those curry that will make you perspire then this is not for you. In fact, it tasted very homely, reminding me of my grandma's cooking. Bluntly put it, it tasted old school. 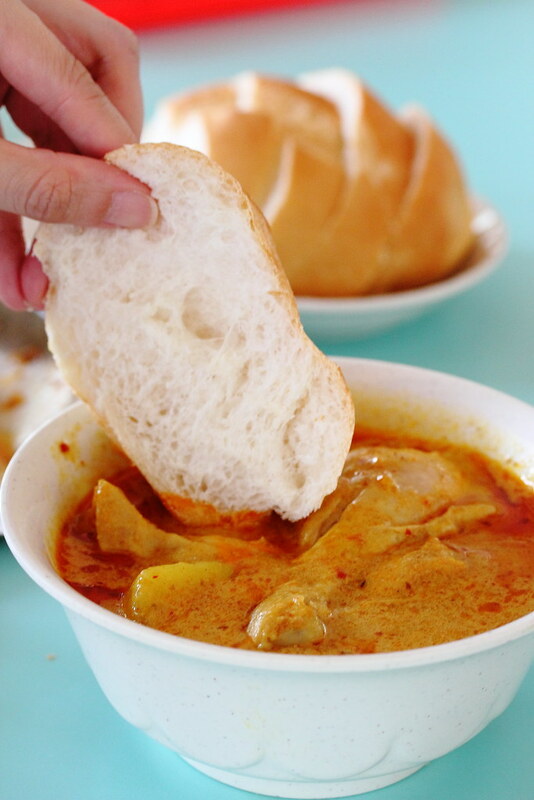 The stall also offers a choice of Bread ($1) or Rice ($0.50/$0.80) to go with the variety of curry dishes. I would recommend having the bread with to soak up the thick and gloopy curry. 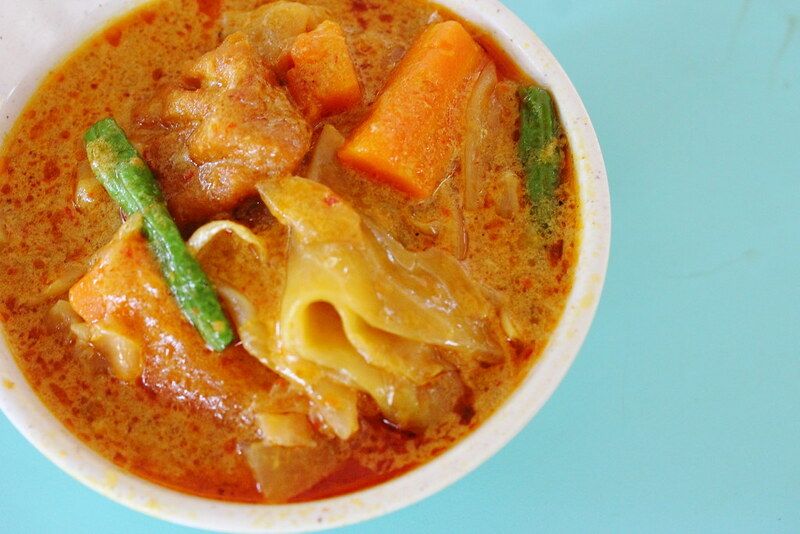 For a compelet meal, you may add a dollar for a small bowl of Curry Vegetable when you order one of the 6 main curry dishes. The vegetable is cooked to a delectable soft texture and you still can taste the sweetness of the vegetables. Besides the Curry Chicken and Assam Curry Stingray, the other dishes on the menu are Curry Mutton, Curry Pork Ribs, Curry Pork Chop and Curry Chicken Chop Rice.